In the fairly short existence of Milwaukee Record, I’ve made a point to chronicle foolish adventures that have damaged my spirit, tested my eating endurance, and depleted both my physical and emotional well-being. I have no regrets (except maybe that George Webb one), but with the arrival of a new year also comes new perspective and a new opportunity to forge a different path. Over the course of 2018, I’m going to seek inner peace, personal growth, and healthy choices while documenting my experiences with a series of columns under the ’18 And Life To Go umbrella. Will it work? Probably not, but I’ll try anyway. When I started this series, I knew it was going to take me to some strange places. Though barely into this yearlong endeavor, I’ve already been poked and encouraged to drink a tincture that doubles as a salad dressing. I know even more unconventional experiences await, but I didn’t think this journey for comfort and happiness would bring me to a New Berlin strip mall—where I’d be alone, barefoot, pounding bottled water, and blowing my nose in a dark room. After my last ’18 And Life article, Amelinda from 88Nine and Detenzione reached out to see if I’d ever thought about salt cave therapy. I hadn’t. In fact, I had no idea what it was, but after a little research and a lot of Groupon links from Amelinda, I decided $14 and a drive out to the suburbs was a fair price to pay to try out a treatment I had no idea even existed a day or two prior. 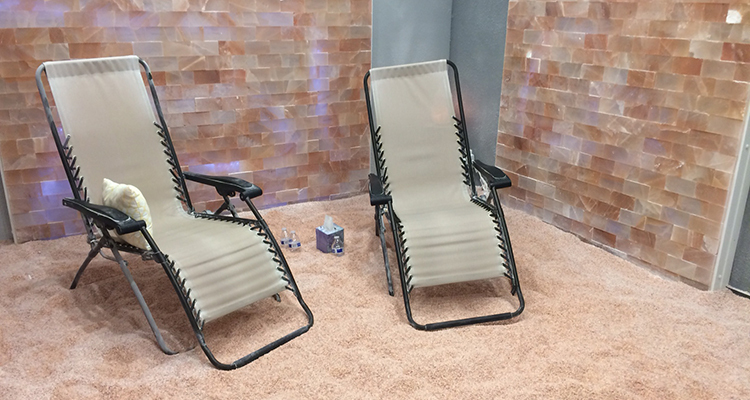 Salt cave therapy (also known as “Halotherapy”) is an ancient European remedy—and somewhat recent American spa trend—that’s said to promote respiratory health, improve mood and sleep, detoxify, clear up skin and stress, and help the immune and nervous systems…all through breathing in pure mineral salt. Apparently, this magical Himalayan salt and its so-called “negatively charged ions” are anti-bacterial, anti-microbial, and contain more than 80 of the same elements that are found in the human body. And here I thought too much salt was a bad thing. I couldn’t find a business in Milwaukee proper that offered halotherapy, so I settled for a place in New Berlin called CryoFit. The service is also offered at spas in Pewaukee and Elm Grove. No thanks. 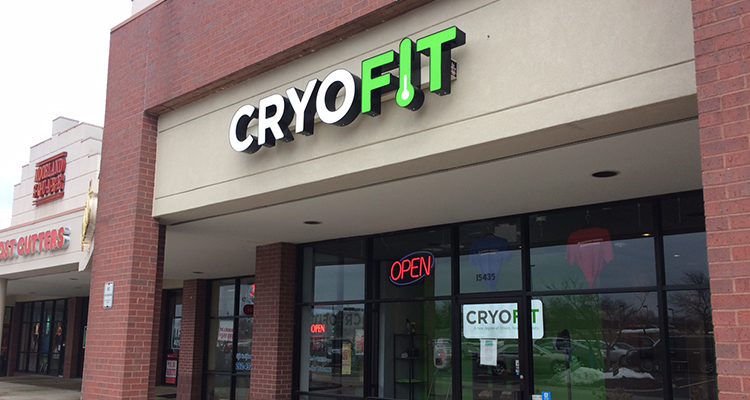 CryoFit has six locations in Texas and one in a small space in a shopping complex on the outskirts of Milwaukee. I walked in at my appointment time and was given a quick tour of the business. I was shown the Whole Body Cryotherapy chamber that exposes patient’s skin to temperatures between -202 to -256 degrees for three minutes. I was instantly jealous I wasn’t doing that. Then I was brought to an IV Therapy room and my guide energetically told me about the Injection Therapy cocktail he takes. 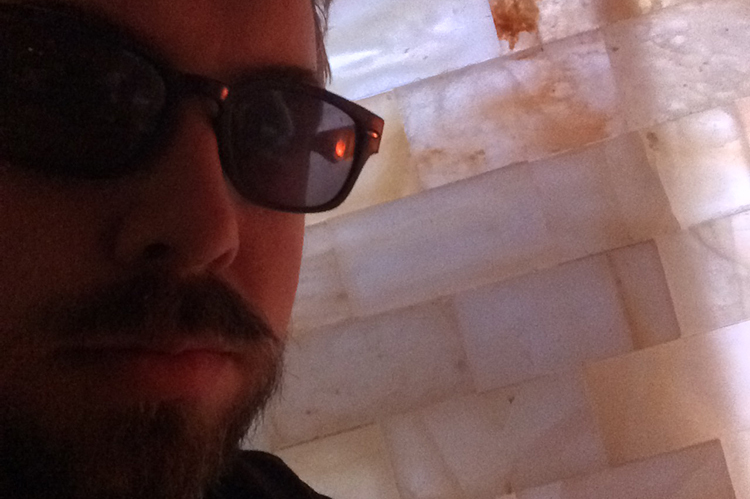 Then I was brought to the salt cave. Okay, so “salt cave” probably isn’t the most accurate name for room I estimated to be maybe 15 feet by 15 feet. Not to disparage CryoFit—which truly did make the most of the limited space available—but this wasn’t quite the idyllic paradise I saw online. You burned me, Groupon! I was handed off to another employee, who told me many of the halotherapy benefits I’d listed above. He encouraged me to breathe in the salty air without hesitation, drink lots of water (I was given four small bottles), and make myself at home. “This is your room for the next 45 minutes,” he said. There was only one rule: Once the door closed, I had to stay there until somebody let me out. It seemed like an ominous warning, but there was a good reason for it. Salt was being pumped in through a vent in the wall, and the room was sealed off to keep the Himalayan salt in the room and out of the rest of the place. This would be my fortress of solitude (and sodium) for the next 45 minutes. After booking my appointment, I read somewhere that 45 minutes in a salt cave offers the same levels of salt exposure as spending three days at sea. Alone in the room, I had plenty of time to process that thought. I turned off the lights and selected my seat. My only job was to breathe and to take in the relaxing sounds of my personal suburban salt cavern. Ahhhh! Take it in! Moments after being left to my own devices, the vent situated against the wall behind my chair started emitting a sustained loud noise as it pumped ground mineral salt into the air. The halogenerator was like landing gear being lowered over and over again. Any hope for serenity was quickly dashed, but I figured a little racket was worth it if even half of the alleged benefits were real. As instructed, I breathed in deep and rubbed the light dusting of salt into my bare arms, uncovered legs, and face. I was warned my nose might start running profusely and my chest may begin to clear. There was a slightly salty taste in my mouth, which I chased with all four bottles of water. If not relaxing, I at least wanted the experience to be effective. I walked around barefoot on the course grounds of salt. I stood directly in front of the vent and inhaled deeply. Nothing. Ultimately, my eyes became more irritated than my sinuses, so I put on some glasses that were sitting in the room. Near the end of the experience, my nose finally started to run a little and a couple coughs yielded at least some of the “detoxifying” aspects that had been touted. Just as the byproducts I’d welcomed for so long began to kick in, the same employee who’d shut me in my “cave” opened the door, turned on the lights, and told me my time was through. My skin was softer than when I entered and my sinuses cleared ever so slightly, but I don’t think I reaped all—or even half—the purported benefits of halotherapy. 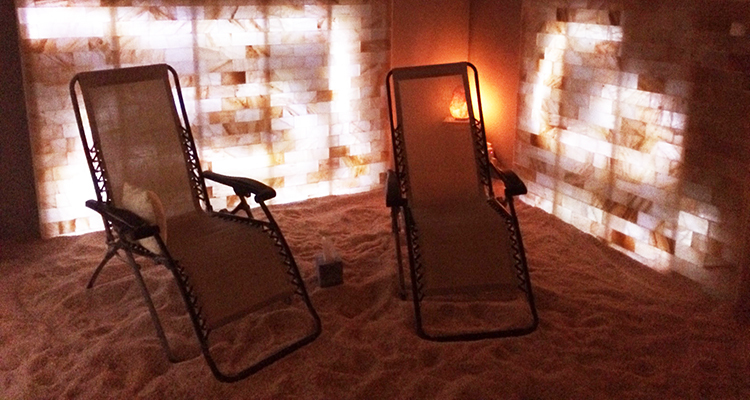 Without knowing the specific state of my cell function (which salt cave therapy is said to help rejuvenate), I can say I felt no more energetic than when I entered that room earlier in the hour. Any semblance of relaxation or stress reduction I might have absorbed with the salt in that room was instantly eliminated upon hitting Friday rush hour traffic on my way back to Milwaukee. There are definitely some benefits of salt cave therapy and I welcome anyone to try it if they’re curious. It might work wonders for you, but it just wasn’t for me. In the end, I brought a $14 Groupon for a New Berlin shopping center’s makeshift salt cave and all I got was this runny nose.